Ultimate soldier. Ultimate mission, But can the SAS prevent Britain descending into war-torn anarchy? Great Britain, 1995: With terrorist bombs destroying town and city streets, rising crime and a teenage drug problem that is out of control, police forces are stretched beyond their limit. And now a new threat is looming. A fanatical right-wing movement is spreading into the UK. Using terrorism and crime to fund its undercover activities, and a frightening new drug to spur on its growing army to unprecedented extremes of violence, it is threatening to turn Britain's towns and inner cities into battlegrounds of anarchic brutality. In desperation, civil authorities turn to the only men who might be able to confront these fanatics on their own terms: the SAS. Guided by a maverick undercover drug cop, they will be pitted against an enemy as ruthless and deadly as any the regiment has faced. 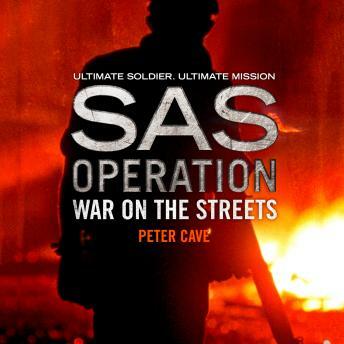 The SAS are at war, and that war is just outside the window - a war on the streets.